The process of presenting yourself to your future employer starts at the moment you decide to sign up for a particular job. The first thing to do to get familiar with the potential employer is to present through the resume. 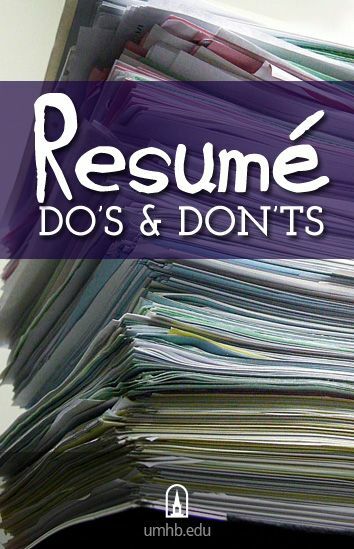 The reason why you should have a well-written resume is that you will, in most cases, have great competition in the challenge for the job, and the purpose of the well-written resume is that you will be separated from other candidates, and that will lead you to a job interview. The more you present yourself well, and the more your resume matches the needs and requirements of employers, you are more likely to have a call for an interview. Your resume should show your best skills, in a nice and original way. There are plenty of ways to write your resume, and it can take advantage of this fact and be as original as possible. But let’s start from the beginning. If your biography attracts someone’s attention, that person will more carefully look at your personal data and therefore this item is something you should pay attention to. When specifying a personal and contact data, your resume should contain – your name, e-mail address, and phone number. Other data is also important, but we will highlight that the photo needs to be professional, and also your e-mail address. When it comes to working experience, it should be noted that it is the most important point in the whole resume, and there should certainly be the biggest focus. The employers understand your work experience as a list of your options and capability, and it draws conclusions based on your previous experience, in the sense that, what do you do then and results you achieved with the former employer, you will continue to perform just as well for them. In the context of work experience indicate the company where you worked, a period of employment in each of them and the position in which you are working, also when specifying start with the most recent experience. Do not minimize what you’re doing, and do not be ashamed of it. Show your future employer that you are a person who wants to learn and develop your potential in all situations. When you write about your ex-companies, you should not just name it, but write something about it, for instance, “I was a merchandise manager of a trusted Miami, Florida business, or something like that. Never tell bad things about your ex-employers, because it will send a very bad image about yourself. If you specify a recognition, at the bottom of biographies you should mention that the awards, diplomas, recommendations, and other certificates available for inspection upon request.